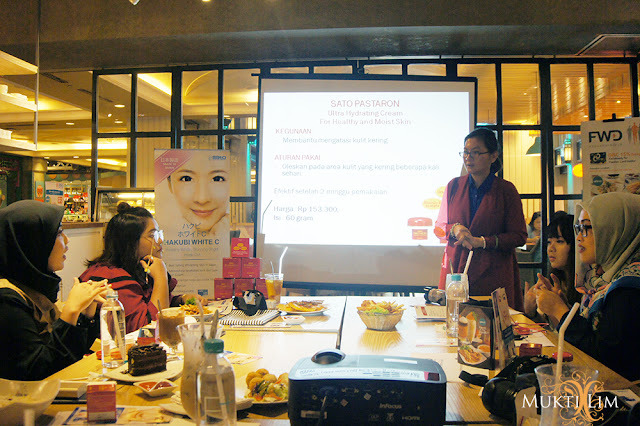 On 9 December 2016, Hakubi Sato invited me to join the blogger gathering at D'Excelso Cafe at Grand Indonesia Jakarta. I was excited to join because I'm suffering a very dry skin right now, and really curious whether the product will help me to solve my problem or not. Honestly this is my first time knowing Hakubi Sato product. And if you are like me and don't have any idea what SATO is, you can keep reading. Sato Pharmaceutical is one of the biggest pharmaceutical company in Japan and was established in 1915. The company philosophy is "health, is the umber-one priority". 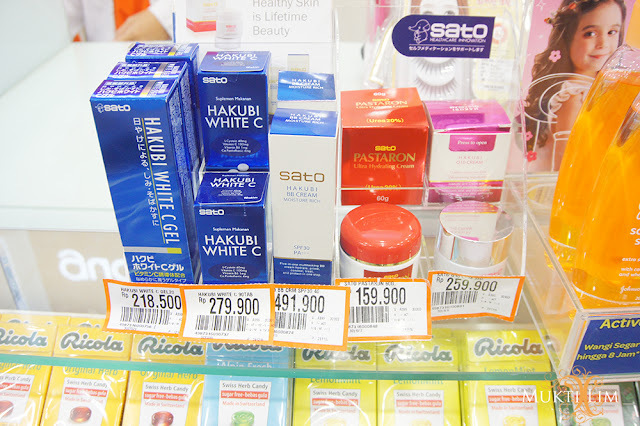 SATO also concerns with healthy skin which can bring a lifetime beauty. During the event we were introduced to one of SATO product, SATO PASTARON Ultra Hydrating Cream. The product contains Urea 20% to help moisturize skin, Dipotassium Glycyrrhizinate as anti-inflamation, Tocopherol acetate as anti-oxidant. - Skin condition such as atopic dermatitis or psoriasis are prone to dry skin. 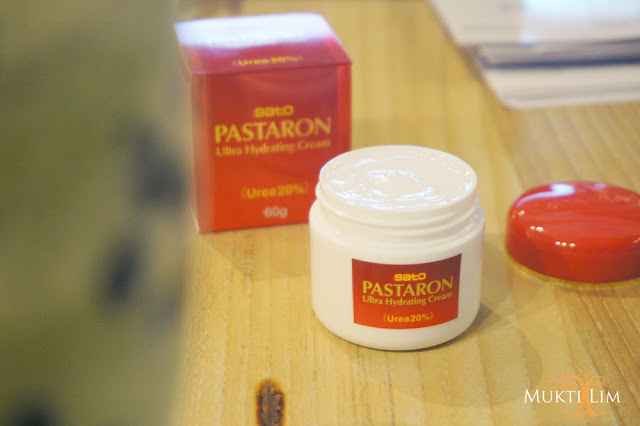 This product is believed can help to moisturize your dry skin. Apply gently on dry area several times a day. Only can be used on body area (not suggested to apply on face). As informed by SATO representative, the product is also safe to be used on baby skin. 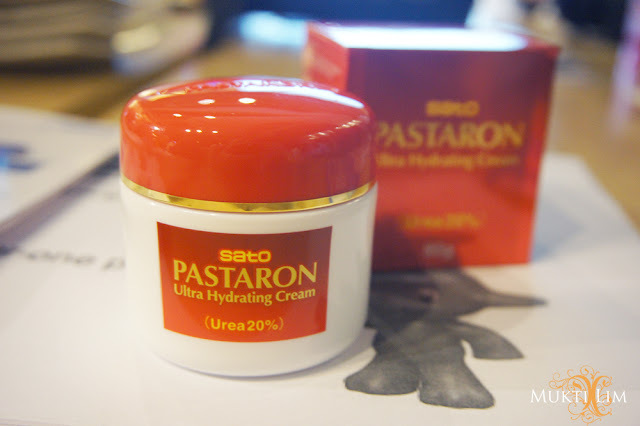 SATO PASTARON Ultra Hydrating Cream is also available in Guardian with price around Rp. 159.900. 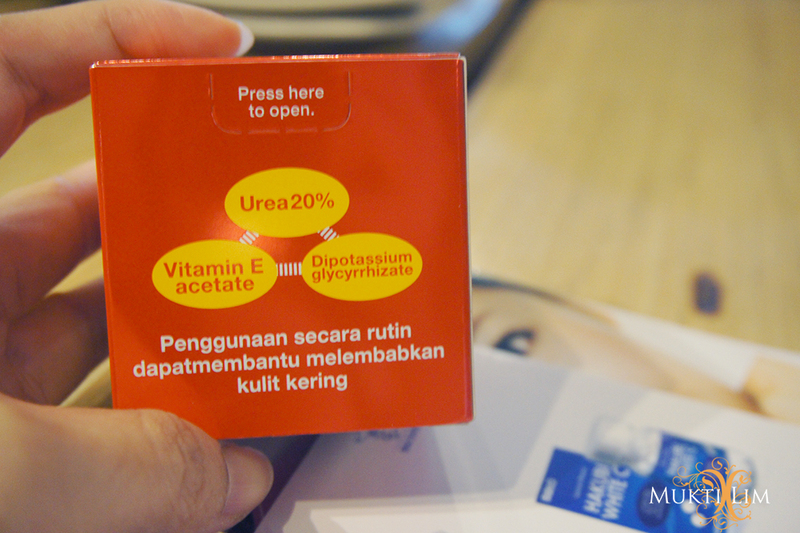 I will try to use this in the next two weeks and let's see my skin improvement ya! You always look stunning, ce mui! Ngiri banget deh... jadi penasaran sama review lengkapnya nih.